There is a general perception that Faf du Plessis just looks better as a captain, and the team looks better under him. At the same time, though, Du Plessis has said he backs AB de Villiers 100 per cent. 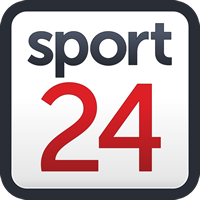 In studio tonight is Paul Harris, Eric Simons and Shafiq Abrahams to discuss, with host Pommie Mbangwa, the vagaries of the captaincy and what the path forward holds for the Proteas. Catch our popular magazine show tonight at 8pm CAT (SA, GMT+2) on SS2.